Customers are increasingly demanding that their software suppliers deliver solutions with the inherent benefits of SaaS. “Pure-play” SaaS vendors often under-serve one or more critical areas for SaaS scalability and ultimate customer success and shareholder value. Traditional software companies with existing customers need to address both on-premise and SaaS offerings concurrently. Many software companies think the move to SaaS is primarily a deployment (“Cloud”) issue and fail to holistically plan for migrating to SaaS. 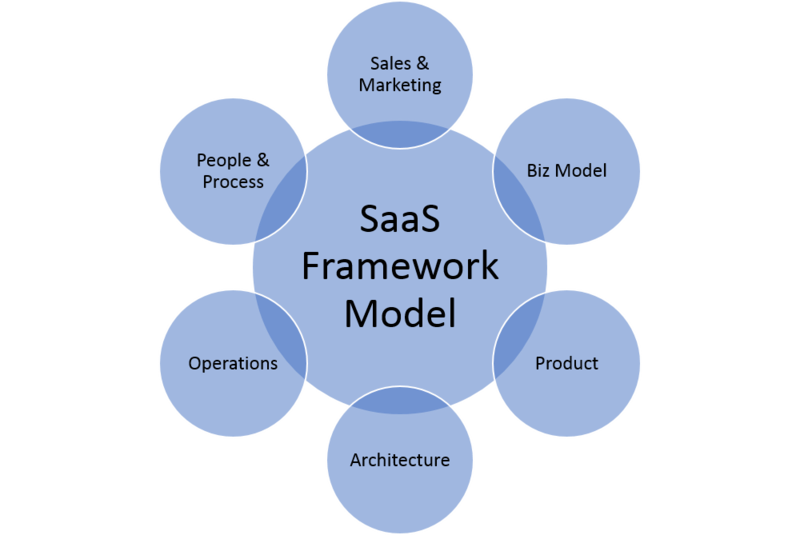 The SaaS Framework Model (SFM) was created based on best industry practices from SaaS practitioners and proven companies to address the challenges of delivering long-term growth in customer success and shareholder value in a SaaS company. What are the business drivers underlying your SaaS initiative? How do your SaaS efforts compare to those of your competition? What should your SaaS roadmap be for each SFM key process area (business model, sales/marketing, product, architecture, operations, people/processes)? SFM Workshop: This three-day workshop introduces the compete SaaS Framework Model (SFM) and helps companies evaluate their effectiveness as a SaaS vendor across the six SaaS KPAs and facilitates the client organization in developing a roadmap to improve their SaaS effectiveness driven by customer success and shareholder value. This workshop is designed for to companies how desire to seriously evaluate their competitive performance as a SaaS application provider or for onPremise companies seriously looking to migrate their applications to SaaS. SFM One-Day Overview: This one-day overview introduces the compete SaaS Framework Model (SFM) to companies desiring to evaluate their competitive performance as a SaaS application provider or for onPremise companies looking to migrate their applications to SaaS. SFM Executive Overview: This two-hour executive overview provides an introduction to the SaaS Framework Model (SFM) for those companies desiring to evaluate their competitive performance as a SaaS application provider or for onPremise companies looking to migrate their applications to SaaS. SFM consists of the six key process areas (KPA) outlined below. Each KPA of the SFM is decomposed into a set of related activities that, when performed collectively, achieves a set of outcomes important to SaaS success. The business model KPA focuses on the critical elements of the SaaS business model, including packaging/pricing, revenue and cost models, legal, account provisioning, billing/renewals and business model metrics. The sales and marketing KPA focuses on positioning, markets and value propositions, digital and non-digital demand creation and sales customer acquisition/retention and related metrics in a SaaS context. The product KPA focuses on customer and end-user facing application functionality, including platform and features, user management/security and sel—service/extensibility in a SaaS context. The architecture KPA focuses on the code base, cloud/deployment model, user management and integration, “ilities”, security/compliance and monitoring support of the product in a SaaS context. The operations KPA focuses on the processes and systems enabling on-going delivery, service, support and operational management/metrics in a SaaS context. The people and process KPA focuses on the organizational culture, talent management, organizational design, processes and tools in a SaaS context.